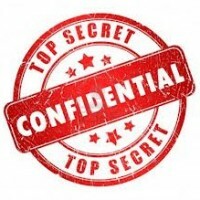 A lot of non-disclosure agreements (NDAs) provide that if one party gives the other a document and expects it to be treated as confidential, the document must be marked “confidential.” Or, if the confidential information is communicated orally, the party that wants to protect it must notify the receiving party in writing within a specified number of days. (“Hey, the stuff we told at our meeting on Monday relating to our fantastic new product idea? That’s all confidential under our NDA”). Big mistake. People sign agreements like this and a year later they have completely forgotten that they need to follow them. Or, employees come and go, the NDA is buried away someplace, and new employees are blithely unaware that they need to follow the terms of the NDA. Convolve contends the district court erred when it found that Compaq failed to protect the confidentiality of certain information because it failed to designate it as such pursuant to its obligations under the NDAs. Convolve asserts that the parties understood that all of their mutual disclosures were confidential, notwithstanding the marking requirements in the NDAs. … Convolve … contends that the parties’ course of conduct did not require a follow-up letter. … The plain language of the NDA unambiguously requires that, for any oral or visual disclosures, Convolve was required to confirm in writing … that the information was confidential. … The intent of the parties, based on this language, is clear: for an oral or visual disclosure of information to be protected under the NDA, the disclosing party must provide a follow-up memorandum. … Convolve argues that, regardless of whether the confidentiality of the trade secrets was confirmed in writing, … the parties understood their mutual disclosures were confidential, notwithstanding the NDA strictures. … [However], the NDAs do not appear reasonably susceptible to the interpretation Convolve urges. Don’t put provisions like this in your NDAs if you want to protect your trade secrets or confidential information. Include a provision that everything you give to your business partner is confidential, and keep your options open. If something isn’t confidential, no harm done. If you think it is and the recipient disagrees, let the recipient prove it in court, should that become necessary. Better overkill than underkill. Next post: U.S. v. Apple: Where Were the Lawyers?